Här kommer ett intressant uttalande av Ms Shamsa Mwangunga,The minister for Natural Resources and Tourism, i Tanzania i gårdagens The Citizen (Dar es Salaam). ”…says contrary to reports that the ice caps were decreasing owing to effects of global warming, indications were that the snow cover on Africa’s highest mountain were now increasing. Det här var ju ett av paradnumren (tillsammans med isbjörnarna) i Al Gores Doom and Gloom show ”An inconvenient truth”. Och användes som ett ”avgörande” bevis för Global Warming Hysterikernas tes att CO2 driver temperaturen. ”But the commonly heard-and generally correct-statement that glaciers are disappearing because of warming glosses over the physical processes responsible for their disappearance. 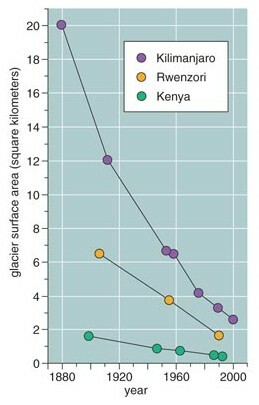 Indeed, warming fails spectacularly to explain the behavior of the glaciers and plateau ice on Africa’s Kilimanjaro massif, just 3 degrees south of the equator, and to a lesser extent other tropical glaciers. The disappearing ice cap of the ”shining mountain,” which gets a starring role in the movie, is not an appropriate poster child for global climate change. Rather, extensive field work on tropical glaciers over the past 20 years by one of us (Kaser) reveals a more nuanced and interesting story. 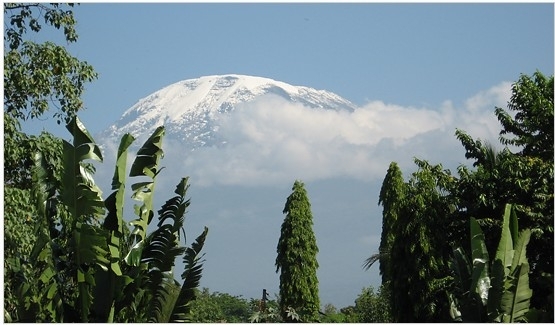 Kilimanjaro, a trio of volcanic cones that penetrate high into the cold upper troposphere, has gained and lost ice through processes that bear only indirect connections, if any, to recent trends in global climate. Figure 3. Kilimanjaro’s location in a dry and cold tropical climate zone changes its mass- balance equation. In the tropics glaciers do not move between winter and summer, snowfall and melting; temperatures vary more from morning to afternoon than from season to season. The ice cap on Kilimanjaro consists of ice on the 5,700-meter-high flat summit, some with vertical edges, and several slope glaciers, mostly at altitudes where temperatures stay well below freezing and the major source of energy is solar radiation. 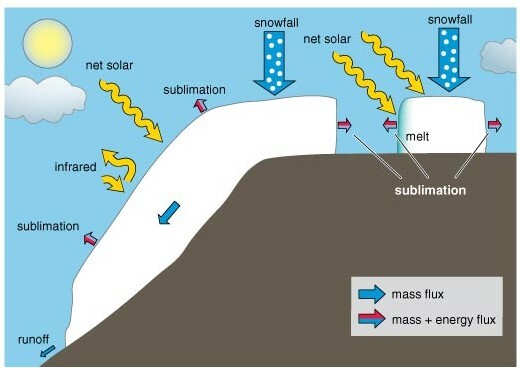 Considerable infrared radiation is emitted from the glacier surface into the surrounding air, and the glaciers lose the most mass through sublimation-the direct conversion of ice to water vapor. Observers have seen only a trickle of meltwater. ”A controversial documentary on climate change which has been sent to thousands of schools has been criticised by a High Court judge for being ‘alarmist’ and ‘exaggerated’. Mr Justice Burton said former US vice-president Al Gore’s film, An Inconvenient Truth, was ‘one-sided’ and would breach education rules unless accompanied by a warning. Despite winning lavish praise from the environmental lobby and an Oscar from the film industry, Mr Gore’s documentary was found to contain ‘nine scientific errors’ by the judge. ”I had wanted to climb to the roof of Africa before climate change erased its ice fields and the romance of its iconic ”Snows of Kilimanjaro” image. But as we trudged across the 12,000-foot Shira plateau on Day 2 of our weeklong climb and gazed at the whiteness of the vast, humpbacked summit, I thought maybe I needn’t have worried. ”Patchy snow covered the upper slopes above approximately 18,500 feet. At dawn, as we reached Stella Point at the lower lip of Kibo’s summit crater, the fluted walls of the flat-topped Rebmann Glacier stretched out to our left.